In the first part of this blog post series about knowledge graphs and AI in the pharmaceutical and healthcare industry, you got an overview of the challenges knowledge-intensive organizations face to leverage data-driven innovation and improve healthcare outcome. The second part introduces a use case about how connecting your siloed departmental data with external authoritative resources will leverage the value of your content assets. 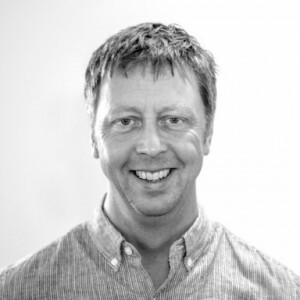 In this third installment, Fredric Landqvist from Findwise shares his thoughts on how knowledge engineering and knowledge graphs contribute to the digital workplace for clinicians. Findwise is a partner of ours and a global expert in search-driven solutions for the pharmaceutical and healthcare industry. One of the pillars of a smart semantic information engine is the set-up of context-specific knowledge graphs to support the line of business and to develop these services one need to tinker with the knowledge graph. Ontology Management and participatory governance with LOD Vocabularies. 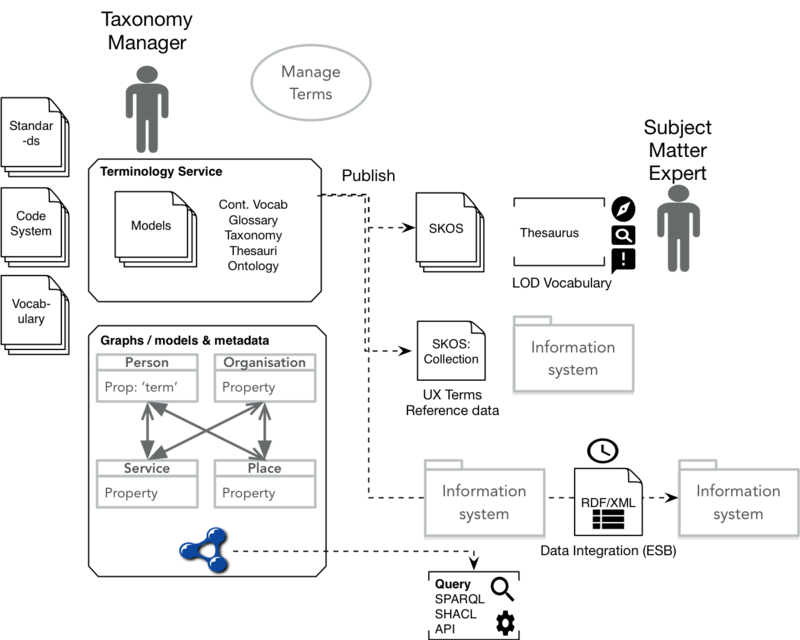 Using models and ontologies (i.e HL7/FHIR [RDF]) and create context-specific models. Data exchange with semantics and standards (i.e., FHIR). Query the graph and do Analytics and reasoning capacities to have data-driven clinical research (i.e., FHIR Clinical Reasoning). The clinician’s workspace and route to processes and practices have context specifics as if they work in home care, at a hospital or private care providers and so forth. Also within which different disciplines and specialist areas. Many contemporary smart hospitals have made a big investment in a technology stack (i.e., IoT, Robotics, AI and more). Connecting patient pathways and logistics from the, i.e., in-coming ambulance, emergency care and ending up in the ward. Where the practitioners use the same infrastructure and mobile devices at the patient bedside, or collaborative big screen kan-ban boards shared amongst all, to assign tasks, routines and treatments. Apart from traditional applications and legacy systems to run Hospital operations, supporting functions (HR, Economy/Finance, Facilities, IT, Communications, etc. ), the clinician’s work revolves in Electronic Health Record (EHR) Suites and complementing niche applications and medical device appliances. Still many members of staff, get a feeling of been pulled into a straightjacket when having to feed a multitude of single purpose or closed applications. A disjoint digital workplace! There are some beacons in the dark Health- and Medicine informatics tunnel and one is the use of open standards like MeSH to get a better-structured record keeping, and data exchange models like HL7/FHIR and a variety of code systems (value sets). One notion is to realize clinical decision support services, where everyday tasks are undertaken in the EHR will be interconnected to knowledge discovery and assisted and guided patient pathways (AI). Using Natural Language Processing, Machine Learning, Deep-learning to extract concepts out the vast amount of data, link these via semantic models (Semantic AI) to related areas such as recent and on topic research papers, codified procedures, routines and policies, or connecting to peers and colleagues (knowledge profiles with skill, competencies) for further conversations and investigations. Another route is to address the need to data-science and analytics to deliver new findings and research based on the data assets, using, i.e., FHIR Clinical Reasoning in combination with the smart semantic information engine to link, augment and visualize data and patterns. Digital Workplace for clinicians will be built on-top the technology stack at hand, and because of this, the different layers of codification need to meld together into a cohesive unit of work. Last but not least is the learning continuum. The practitioners need to be on a never-ending route of learning to be able to serve and be spearheading their expertise. This journey with education pathways and learning objects have to be closely interconnected to everyday work. And it also needs to be highly contextual, using the practitioner’s knowledge profile as a connector to all available resources. This infrastructure of learning resources will be one key component in the information environment where the smart semantic information engine will interplay. In this third part of the blog post series about the pharmaceutical and healthcare industry, you learned how knowledge engineering and knowledge graphs contribute to the digital workplace of clinicians. Read the first post of the blog post series to get an overview of the challenges knowledge-intensive organizations face to leverage data-driven innovation and improve healthcare outcome. Read the second post to learn by the hand of a use case about how connecting your siloed departmental data with external authoritative resources will leverage the value of your content assets. Learn more about how PoolParty Semantic Suite has helped the pharmaceutical and healthcare sector in our industry case study.